Choosing To Ski Or To Snowboard – Which Is Right For You? Sep 19 • Sports • 601 Views • Comments Off on Choosing To Ski Or To Snowboard – Which Is Right For You? 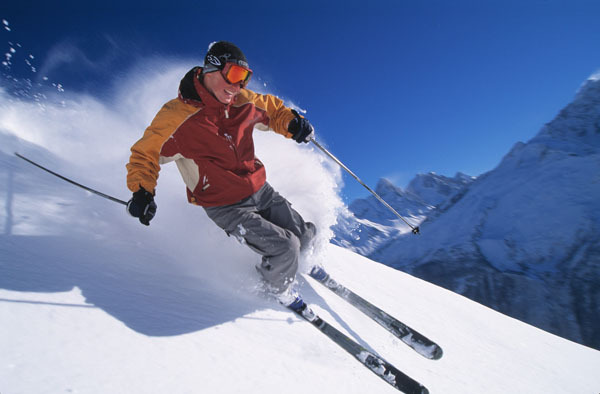 Skiing and snowboarding are both very popular sports, and are both a lot of fun. If you are thinking of taking up one of these great winter sports, but cannot decide which to do, we are here to help you with our skiing and snowboarding comparison. The organised sport of alpine ski racing began in Australia and America, with the first recreational ski club being started in Kiandra in Australia in 1861. This was also the location of the first documented international downhill carnival. However, the true origins of skiing can be traced much further back in time than that. In Nanortalik, Greenland, a primitive 85cm long wooden ski was found, dating back to 1010. Going back even earlier, the very first primitive ski, dating back to sometime around 2500 to 4500 BC, was found in a peat bog in Hoting, Sweden. There are, however, carvings in Norway dating back to about 5000 BC, which show a skier with one pole. Snowboarding started in the 1920s with men and boys tying wooden planks to their feet. However, modern snowboarding did not begin until 1965, when engineer Sherman Poppen tied two skis together for his daughter. It was originally called the “snurfer”, and became so popular that he licensed it to a manufacturer. Over the following decade, about a million of them were sold. Poppen began organising snurfing competitions in the 1970s, and popularity for the sport grew throughout the 70s, 80s and 90s. In 2004 there were 6.6 million snowboarders, and throughout the 21st century the sport is still increasing in popularity. When you first get on a snowboard, you will probably find yourself falling over more than a beginner skier. However, the tendency from that point on is for snowboarders to rapidly get better. With skiing, although you won’t fall over quite as much as a beginner snowboarder, it tends to take longer than snowboarding to properly get the hang of it. This is due to having to learn how to coordinate both your legs as well as learning to use the poles correctly. • Riding the T-Bar – this can be a bit more awkward on a snowboard than on skis. • Moguls – it is much easier to weave in and out of the moguls on skis than on a snowboard. • Flat Sections – moving swiftly along flat areas is easier on skis with the use of the poles. Of course, it depends what your reasons for taking up a sport are, but there’s no denying that snowboarding has a certain coolness to it that skiing just doesn’t have. Snowboarding is the snow version of surfing, so it’s got that surfer dude attitude to it, but with more clothes on! Bio: This post was written by Chris from Simply Piste an online ski clothing store, take a peek at our great range of snowboarding jackets.